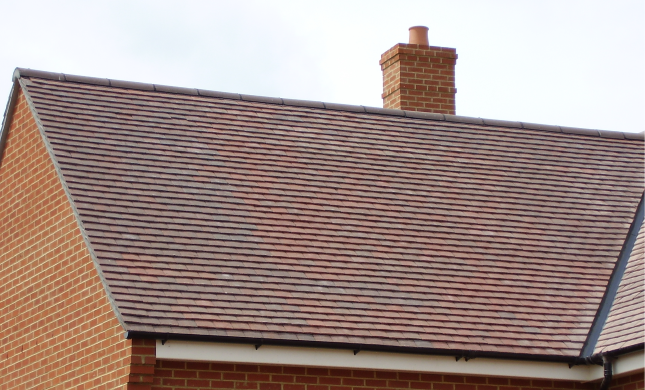 The Victorian Blend is a a mix of 2 colours with one a dark grey and the other a brown with a streak effect in the tiles to assist in the random look giving a mottled colour effect across the whole roof. 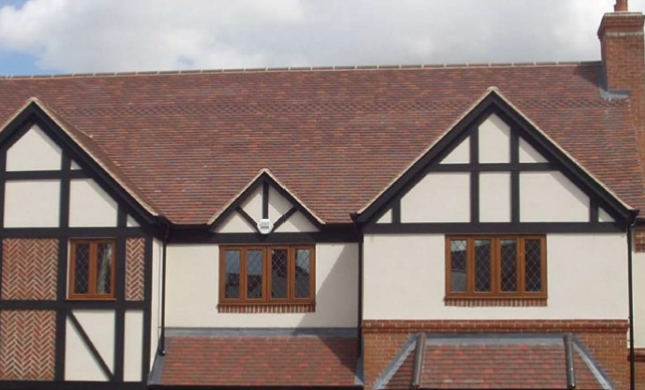 The Jacobean Blend is a mix of 3 colours brown, dark grey and red which have a streak effect in the tiles which when blended together on the roof give a random colour effect to look like a traditional clay tile. 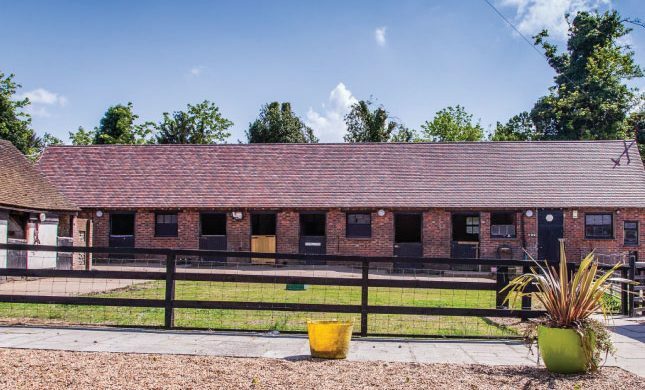 The advantage of using the jacobean blend over clay is that it gives the strength and economy of a concrete tile whilst giving a traditonal look. 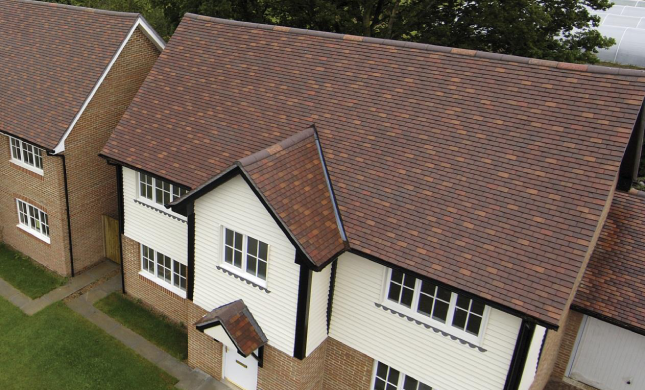 The Edwardian Blend is a mix of three colours brown, red and orange all with a streak in the tile which gives a random effect across the whole roof when laid. This gives the effect of a traditional clay colours but with the commercial benefits concrete provides. 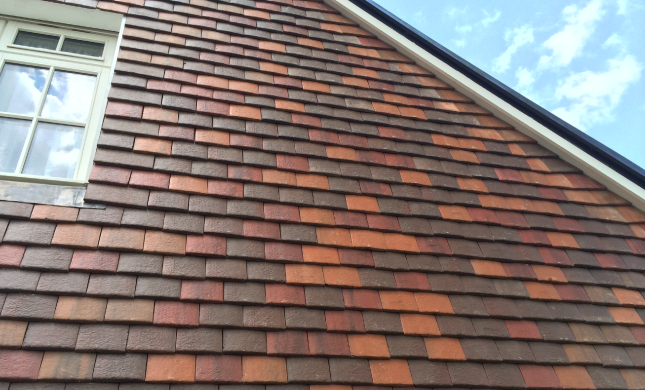 The Elizabethan Blend is a mix of three colours brown, orange and red with a streak through the tile to give a random effect across the roof. The brown is the majority colour in this mix but with the orange and red blended in it gives a look of traditional varied colour clay look. 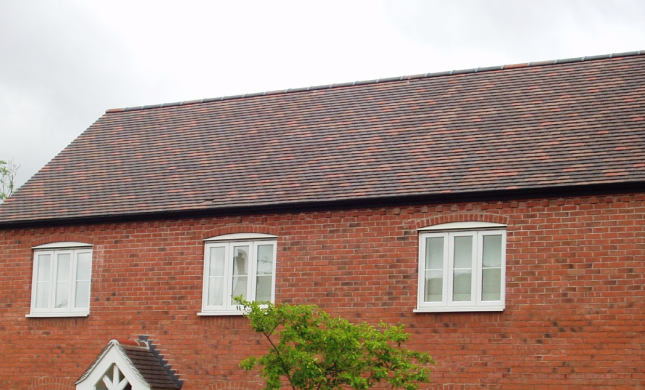 The Georgian Blend is a mix of three colours brown, orange and red the tiles have a random streak through the tiles which gives a mottled effect across the roof similar to the traditional clay plain tiles this is very effective when also blending the associated plain tile fittings on both pitched roofs and vertical tiling.